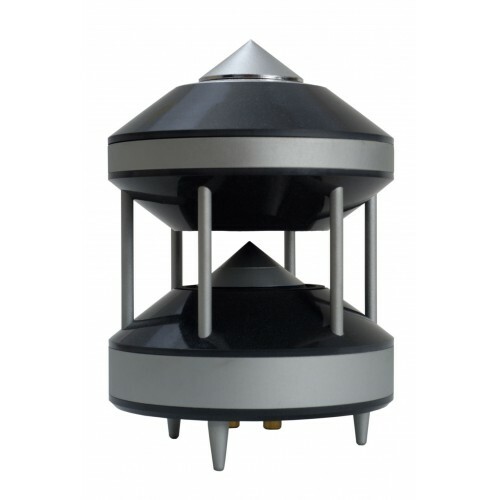 Principle : 2-way, medium-range and high-range, satellite system with active sound variegation to 360°. (Operation with subwoofer). Rated Max- SPL: 107 dB - 1m whit High pass – crossover 120 Hz. 18 dB/Okt. Special features : Numerous positioning options (table-top model, hi-fi model with support stand, ceiling or wall mounting option with all needed accessories), large selection of colors, perfect acoustical performance even whit higher volumes.